Verso Energy has developed a technology that enables the creation of methane gas from coal using naturally occurring microbes through a process which we have termed Microbial Coal Conversion (MCC). The nature of Verso’s multi-stage digestion technology is to increase biological activity to retrieve carbon in solution from the coal seam; not gas. Gas is created from the carbon solution at the surface in a controlled treatment facility. This is a very different technology to unconventional gas mining activities such as CSG where coal seams are fractured and large volumes of water are pumped to the surface in order to obtain access to existing gas that is trapped within the coal seam. 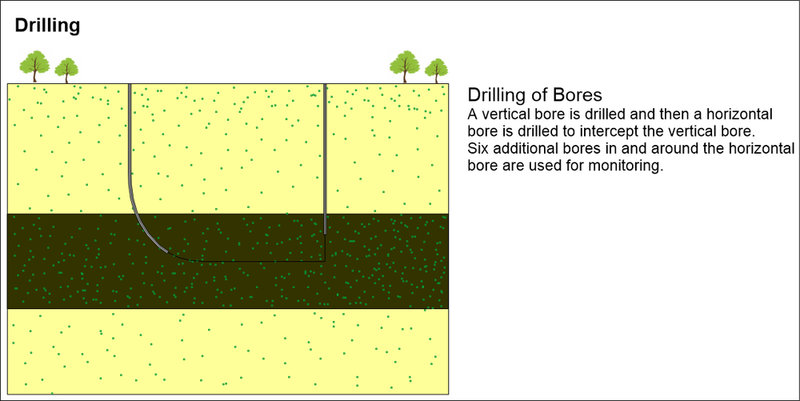 Bores are drilled into the coal seam to create a circulation loop where fluids can be pumped into and out of the coal bed. A fluid containing nutrients and fermentative microbes is then pumped into the coal seam, and over time converts the coal into soluble carbon. At this stage no gas has been produced. The microbes used in this process are very similar to those already found within the coal seam. Verso Energy is seeking to increase biological activity close to the borehole which in turn will increase the quantity of soluble forms of carbon available from the coal seam. In order to achieve this, the microbes must be carefully managed and provided with a solution of nutrients to maintain them in optimal condition. If this maintenance is stopped, or if the microbes are able to move more than a few meters away from the borehole where their conditions are being artificially sustained, then they will be unable to survive. 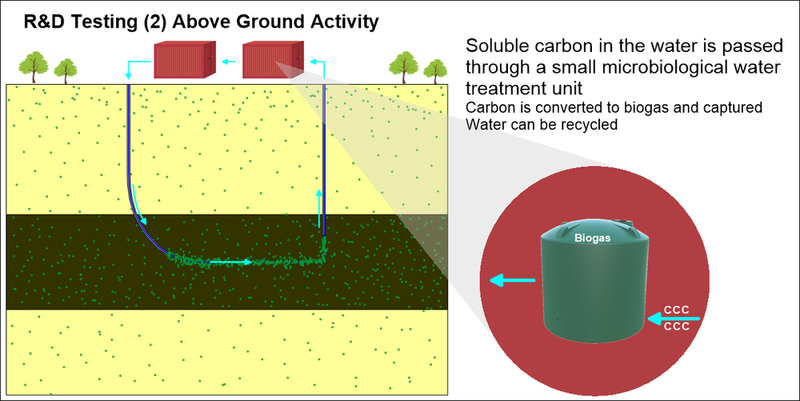 The carbon solution created in Stage 1 is then pumped to the surface and transferred into a treatment plant. The plant contains a digester similar to those found in many wastewater treatment plants which are used to remove organic compounds from liquid wastes. The digester uses a different type of microbe to turn the carbon in solution into biogas, which is comprised mostly of methane with lesser amounts of carbon dioxide. This is captured and stored, and the leftover water solution is recycled into Stage 1 where the process is repeated.